I see little bits of fall approaching. The wind has picked up, the berries are ripe and the days are becoming shorter. I'm certainly not ready as change is never easy, Once fall is here I will not want that season to end and so on till the next, there never seems to be enough time. If you are still looking for ways to use up summer squash from your garden, here is a great recipe. The soup is flavored with coconut milk and red Thai curry and takes under 30 minutes to make. The recipe today has been adapted from Heidi Swanson's book, "Super Natural Every Day". In her original recipe she makes tofu croutons for the garnish and adds slivers of fresh basil. If you like summer squash, coconut milk and red curry, you will definitely enjoy this. In a heavy soup pot add coconut oil and curry paste, then mix well together, mashing down with a wooden spoon. Heat until fragrant, about one minute. Add shallots, a pinch of salt and saute a few minutes until soft. Stir in squash and potatoes, then add garlic and cook for a minute or so. Add water and coconut milk and bring to a boil, reduce heat and simmer, about 10 to 15 minutes, until potatoes are tender and zucchini is just cooked, but not raw. Taste, and adjust seasoning. I ended up adding a little more curry paste and salt and the broth was wonderful. Bon appetit! My favourite season is anything but winter! And I love the summer squash soup. I don't usually think about soup in the summer, but this would be delicious. Thanks Beth, winter sometimes does get to be a bit much. Hi June, yes, we have zucchini coming out of our ears. I love the idea of adding red curry to squash soup - nice transition from summer to fall. Definitely adding this to my "to cook" list! Thanks Amy, this is a keeper. Love red thai curry and adding summer squash sounds great! A big bowl of this warm and comforting soup sounds great! I've been on a little break and it seems like I missed so much! What a beautiful soup and perfect timing because I was browsing through some Thai Curry soups lately. I seem to have this persistent craving and it's not going away until I have some! Thanks for a great dish! Thanks Robyn, hope you had a nice vacation. I love the look of this colorful, simple, and flavorful soup! I too can't believe fall is starting to come, it's like the summer has just flashed by! Hi Phi, I know it's crazy this year, not sure why. My favorite season is spring when I start planting and looking forward to watching everything grow in the summer, like my zucchini :) It's the anticipation season for me. Hi Susan, I love spring too, there is so much anticipation. Hi Tandy, that's right we are basically opposite seasons. So excited for fall. Especially so I can eat this kind of stuff! Hi Francesca, can't believe it is so close. Hi Kelly, never been to that part of the country, Phoenix is like that from spring to summer. I am so not ready for fall, I need summer for at least another month. On the bright side, when fall comes I'll be able to make this amazing looking soup! Thanks Mike, it's a easy recipe that packs a lot of flavor. What a fabulous recipe! Summer isn't far off here - yay! I would LOVE to be sitting by the sea today. Just quiet..watching it..You and I are echoing the words of summer ending today.. I am not ready either.. Yet I see and feel the changes.. Your soup looks comforting and delicious. Thank you, yes, there are subtle changes. It's going by way too fast. Hi Kylee, that sounds really good, will have to try making that myself. Hi David, your recipe for red curry paste looks wonderful, bet it is much better than the pre-made. Thanks! The broth turned out very good. Wonderful soup Cheri! I love it. Ooo I'm going to make this this weekend! Love all things curry and it's such a great way to keep the squash love alive! Thanks Joanne, it sure is! Squash soup is truly one of my favorite foods. And why not make it in the summer? Really nice use of curry and squash, Cheri. Looks delicious! Hi Sarah, I agree, it is a great soup. Thanks! 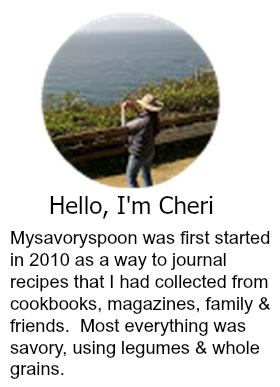 Dear Cheri, that soup looks so fabulous - the recipe sounds wonderful and healthy. 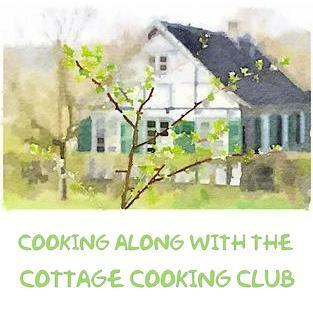 We have had fall-like weather these past couple of days and I have actually had a craving for soup these days - I would love a bowl of your Summer Squash Soup, please! Thanks Andrea, we have squash coming out of our ears right now, always looking for recipes. The quality of light is changing, and the days are becoming noticeably shorter, so I see fall just beginning to arrive here, too. Loads of summer squash still in the stores, though, so summer flavors still linger. Love this recipe! Great flavors -- thanks. Hi John, yes summer is slowly fading away, but the zucchini is still growing strong. what a beautiful shore scene! It was actually chilly here this morning...it's been one strange summer. I could have eaten a bowl of your warm soup for dinner and been very happy! Hi Liz, it has been a strange summer here too. Thanks for stopping by.